This French chateau-inspired custom designed home recently graced the pages and cover of Home & Design Magazine. The old world meets contemporary front facade draws from a wonderfully contrasting cream and slate palette. 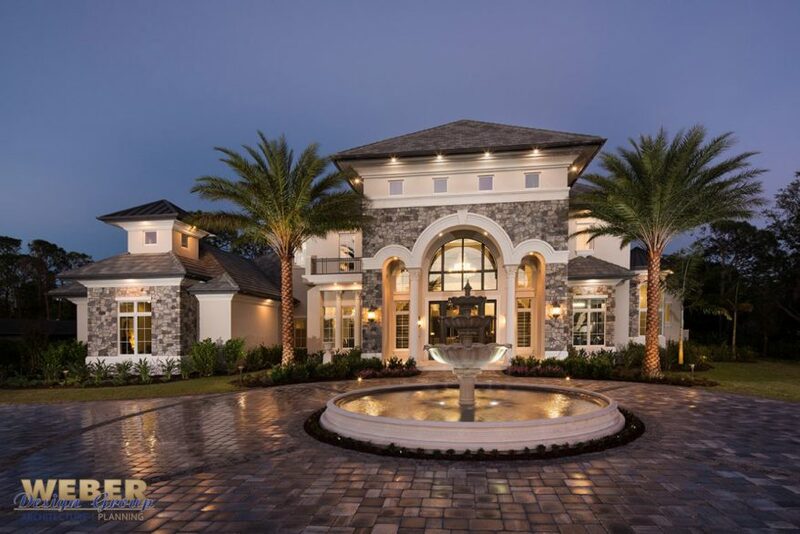 The front elevation features sweeping arches supported by ornate columns, and gray tonal cultured stone sets off the light smooth stucco exterior. 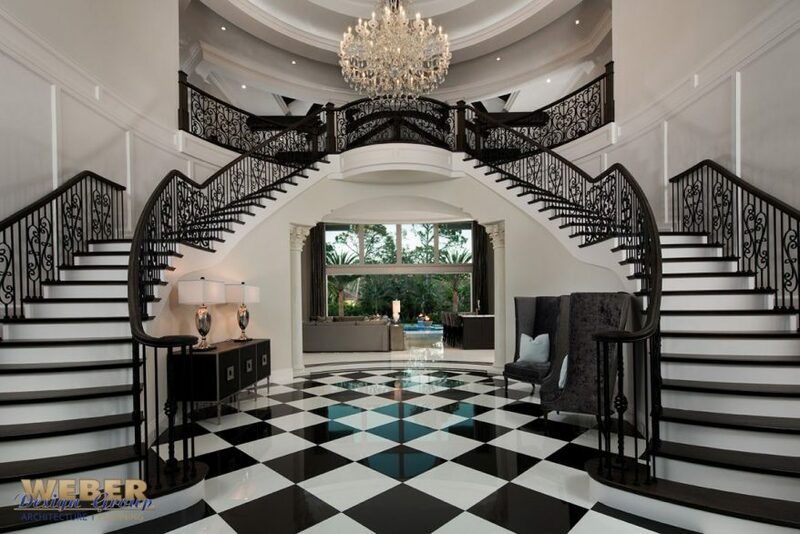 Inside, from the grand foyer, a luxurious set of staircases with wrought iron railings ascend and meet at the second-floor balcony beneath an enormous crystal chandelier suspended from a radial ceiling design with rustic beams. 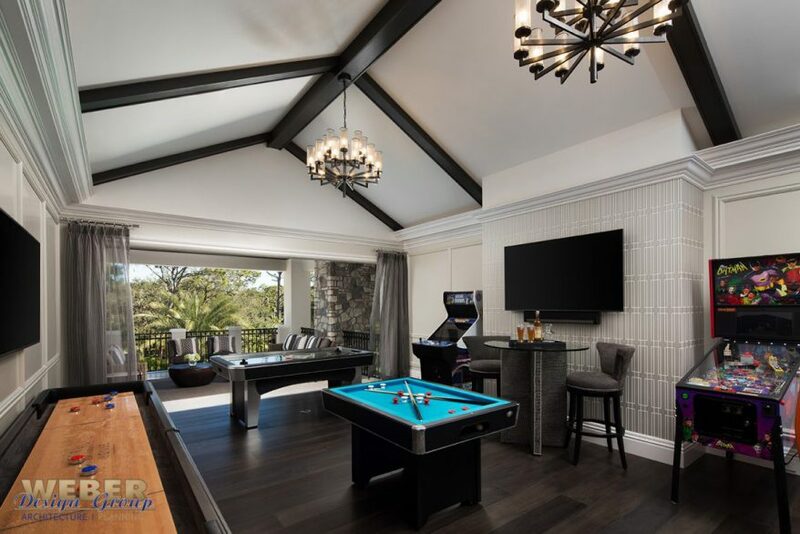 Just beyond the foyer, the design opens up to the family room and bar featuring a 35-foot ceiling with beam work and a seamless transition to the outdoors through a wall of pocketing glass. 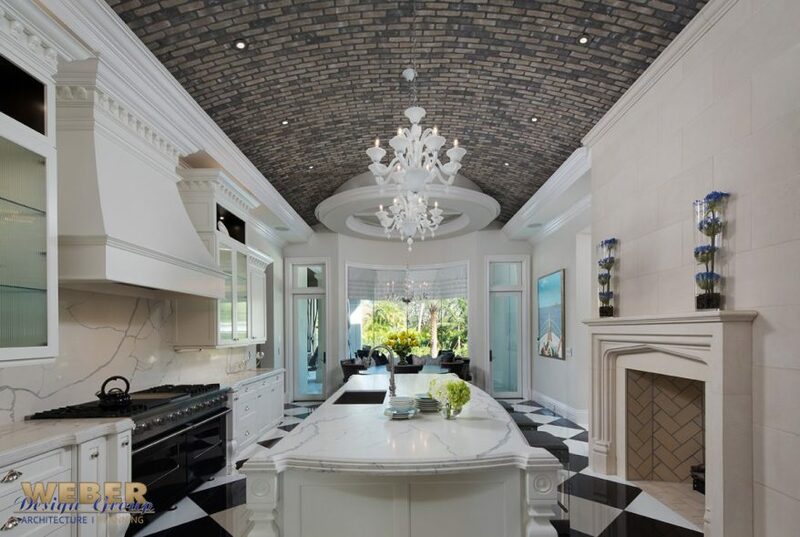 In the kitchen, a barreled brick ceiling creates a rustic feel in the otherwise clean-white traditional kitchen featuring a large center island beneath two crystal chandeliers. The master suite is an opulent retreat for the homeowners designed with a vaulted ceiling and beams, and the adjoining sitting area features a limestone fireplace flanked by a wet bar and a built-in desk area. 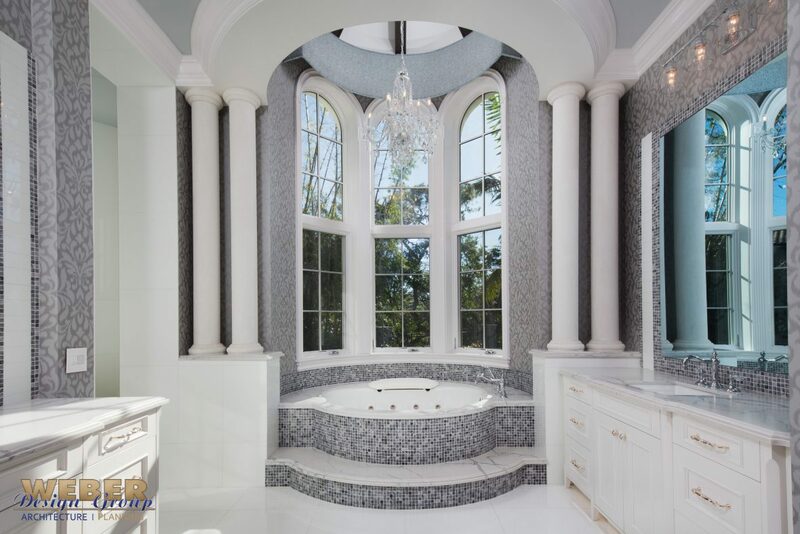 The posh master bath is a marble oasis where beautiful columns frame the large circular tub surrounded by windows under a radial ceiling with beams. The outdoor living areas are as spectacular as one would expect in a home of this caliber. A dark wood tongue-and-groove vaulted ceiling and stone-embellished fireplace create a cozy feel. Several sitting areas and a fully equipped outdoor kitchen make for a casual yet elegant place to lounge outdoors. The rear elevation deserves special mention, as it is almost as magnificent as the front with its grand wall of windows, punctuated by an arched transom creating a beautifully symmetric focal point above the crystal blue swimming pool, and facilitating natural light throughout the home.